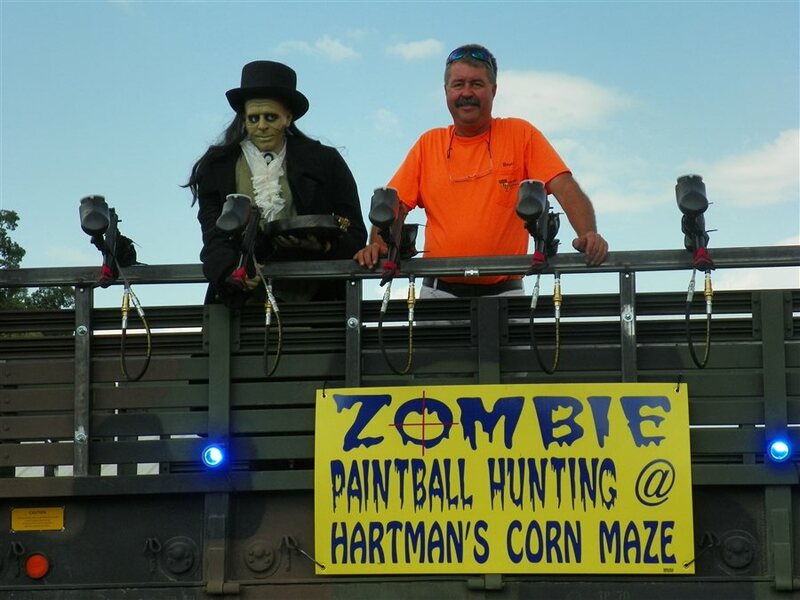 Hartman's Corn Maze is a Mosheim Tradition and a unique outdoor experience for all ages. We have an 8 acre precision designed corn maze, a hayride that actually takes you through the corn field. This year we are introducing a new feature, Zombie Paintball Hunting and a Shooting Gallery along with our regular pumpkin shed where you can find that perfect pumpkin, gourd, squash, or just the right fall decoration that you have been looking for. In our gift center, we offer Indian corn and fodder shocks available. All of our pumpkins and gourds are grown on our farm. We also offer an educational experience to our local schoolchildren. In our educational program, we cover the history of corn from the Cherokee Indians to present times as well as different machinery that has been used to plant and harvest the corn as well as how science has made corn production much different than it was just a few years ago.